On Monday 4 March, EDRi celebrated its 10th anniversary at the European Parliament in Brussels. 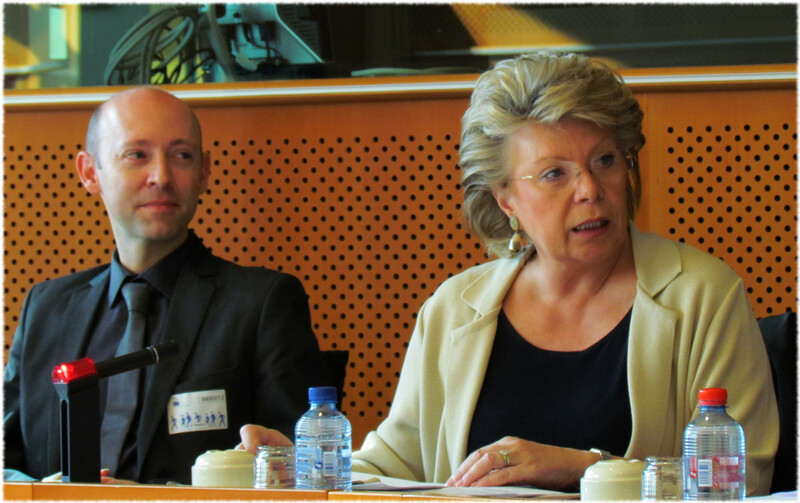 To mark the occasion, EDRi held a meeting with European Commission Vice-President, Viviane Reding. The Vice-President is responsible for the Justice, Fundamental Rights and Citizenship portfolio in the Commission. The theme of the meeting was “Mainstreaming digital rights in European policy-making – 10 years on”. The topic is of central importance to both EDRi and its 35 member organisations and has been a key priority for Vice-President Reding during her current term of office. As a practical step to “mainstream” the European Charter for Fundamental Rights into the policy development of the Commission, Vice-President Reding launched the “Strategy for the effective implementation of the Charter of Fundamental Rights” by the European Union in 2010.